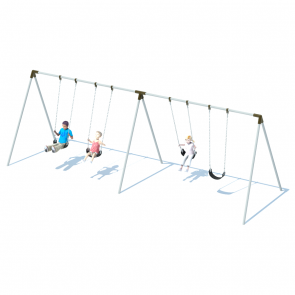 The Bi-Pod Swing Set style will add a charming, classic look to playgrounds or parks. 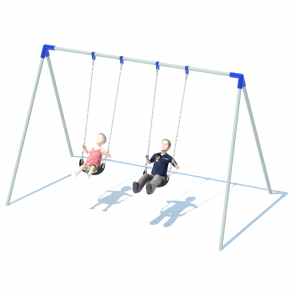 The legs and top bar are constructed from 2 3/8” galvanized steel pipe. 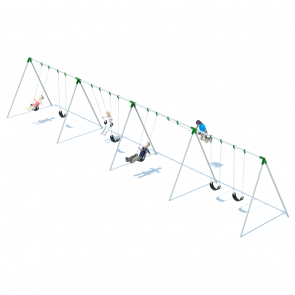 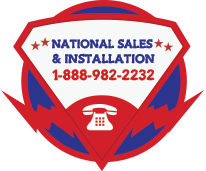 All Bi-Pod Swing Sets come at an 8’ height with the options for number of bays ranging from 1 to 4, with 2 swings per bay. 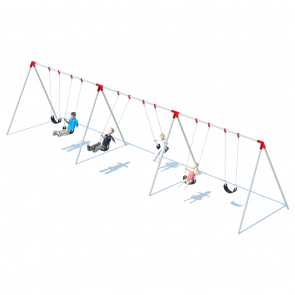 Subtle color options are available to match existing playground equipment if desired, as well.